The role of fiber optic transceivers photoelectric conversion, do not change the code, not for other data processing, the transceiver is for Ethernet, run 802.3 protocol, only for point-to-point connection. You can achieve 0-120Km between the two switches or the connection between the computer, but the practical application has more expansion. 1, to achieve the interconnection between switches. 2, to achieve the exchange between the switch and the computer. 3, to achieve the interconnection between computers. 4, transmission relay: When the actual transmission distance exceeds the nominal transmission distance of the transceiver, especially when the actual transmission distance of more than 120Km, in the case of field conditions permit, the use of two transceivers back to back relay or use light - Optical converter for relaying, is a very cost-effective solution. 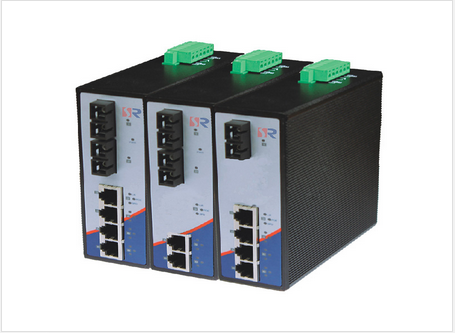 5, single multi-mode conversion: When the network needs a single multi-mode fiber connection, you can use a multi-mode transceiver and a single-mode transceiver back-to-back connection to solve the single multi-mode fiber conversion problem. 6, wavelength division multiplexing transmission: When the long-distance cable resources, in order to improve the use of cable, reduce the cost, the transceiver and WDM can be used in conjunction with the two information on the same fiber transmission.